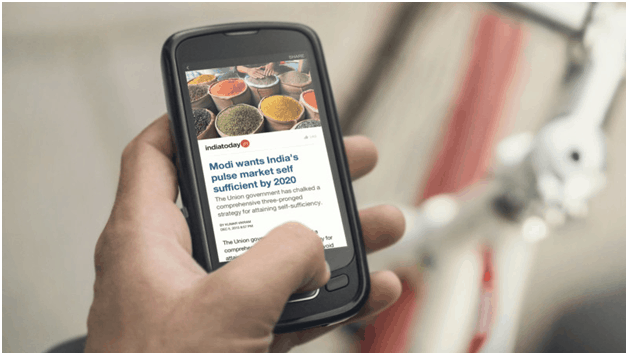 Facebook on Wednesday announced that it has signed up 350 global media partners for its “Instant Articles” service to expand the program to Android devices.Earlier the service was limited to i-phones users across the globe but now the service has been made available on the android, the most used mobile platform. The quick to load stories allow users to read the story without any tap and read delay.The fast-loading articles let publishers host their stories directly with Facebook, which cuts down on waiting time for readers and results in bigger sharing numbers. Facebook says the articles are loaded for viewing 10 times faster than on standard connections. Some of the publishers joining the service include the Straits Times of Singapore; India Times, Telegraph and Daily Mail, France’s Le Parisien and Paris Match; Germany’s Spiegel; Britain’s Guardian; La Nacion of Argentina and dozens of US and Canadian news outlets. Publishers can let Facebook sell ads on their instant articles.The publishers get full revenues from all ads they themselves sell related to the articles, and split revenues from the ads sold by Facebook.